Ensuring a bright future for every teen girl! You can make a difference in a teen girl's life! 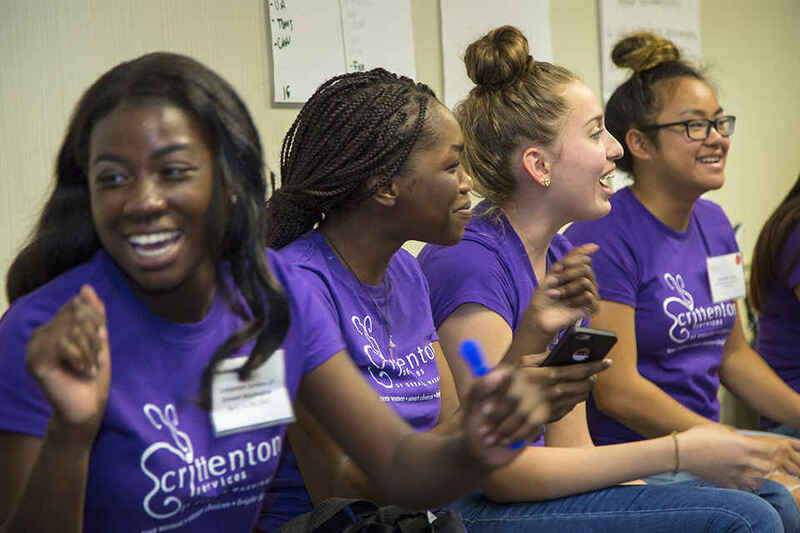 Crittenton Services is an award winning nonprofit dedicated to ensuring a bright future for every teen girl. Through school-based programs we empower under-served teen girls to overcome obstacles, make positive choices, and achieve their goals. Donate today to help make a bright future possible for every teen girl! I am giving because I went to Barrett School for Girls at Florence Crittenton Home in DC and every young lady will be helped by this great program! Crittenton Family keep up your good works! Happy to support this great organization. Thanks to Kathleen Ham for raising its profile so more people can hear of its good work. Crittenton girls inspire me! Keep up the great work! This donation is on behalf of Mary Alice and Michael Avery. It is a part of our holiday gift giving. This donation is on behalf of Barbara and Paul Avery. It is a part of our holiday gift giving. thanks for your leadership pam! Education is critical to allow you to achieve your dreams.